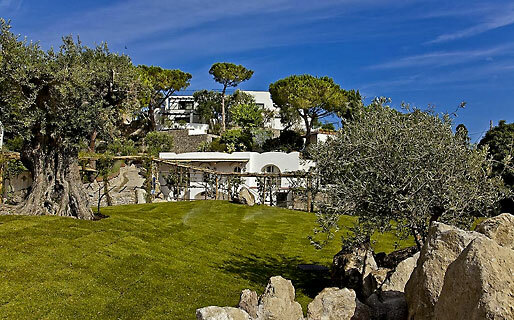 Why stay in hotel on the island of Ischia, when you can stay in a villa! 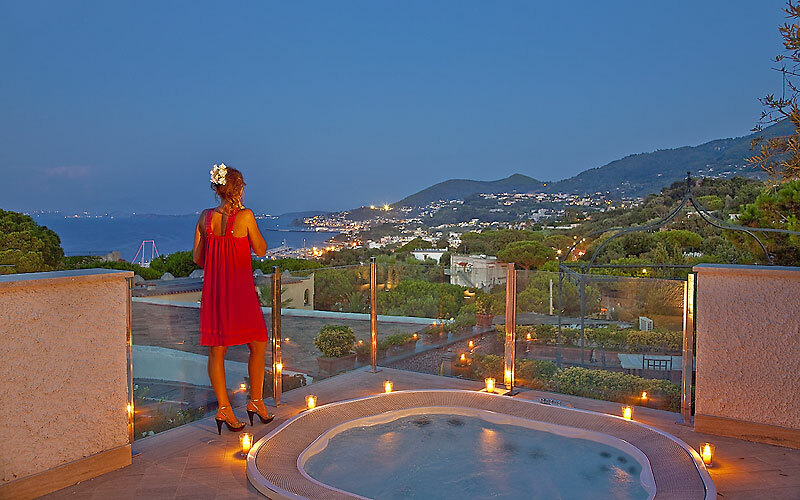 Health inducing thermal waters, a crystal clear sea, gorgeous gardens and fabulous food: you only need a few words to describe the charm of the Island of Ischia: the exact same words which describe the charm of Garden & Villas Resort. Guestrooms at this unique 4 star superior hotel are distributed in 9 villas, set in 30,000sqm of luxuriant sub-tropical gardens. 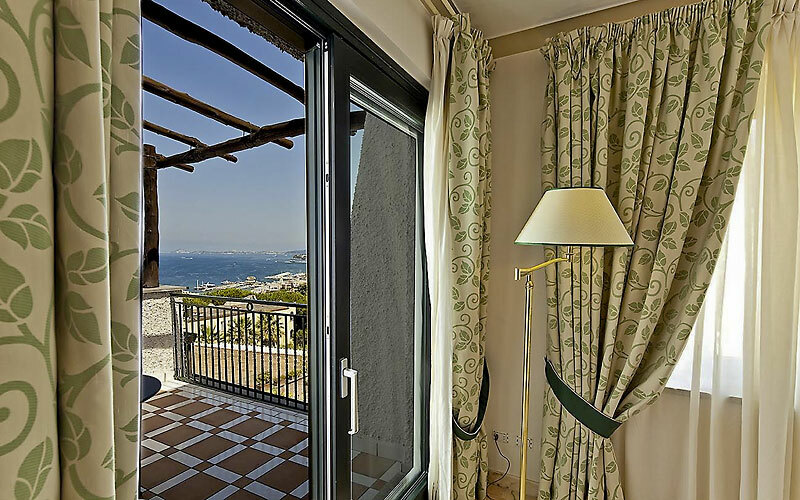 Filled with light and equipped with every modern comfort, Garden & Villa Resort's bedrooms and suites share many of the features of the Italian island's elegant private homes: the most beautiful have precious ceramic and marble flooring and sweeping balconies overlooking the Bay of Naples. Treat yourself to something really special and stay in a suite with fabulous sea view terrace and outdoor Jacuzzi! 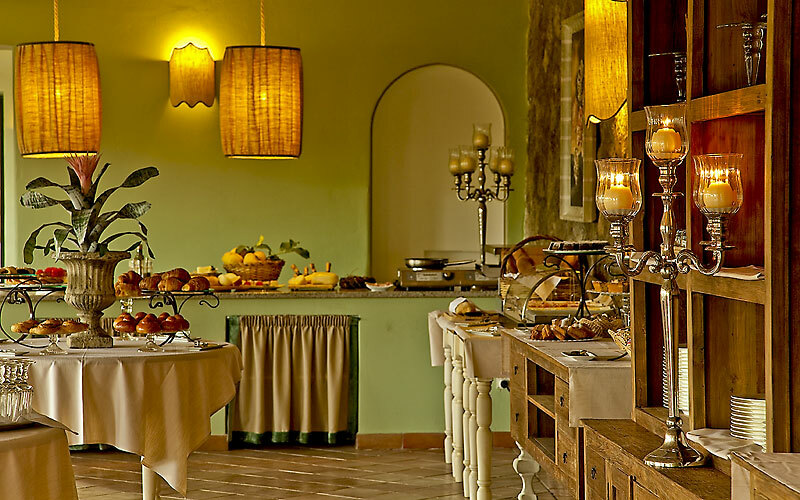 At Garden & Villas Resort's Corbezzolo restaurant, overlooking the pool, guests are treated to a superb selection of classic Neapolitan and local dishes, prepared with Ischia's delicious fruit and vegetables and abundant fish and seafood. 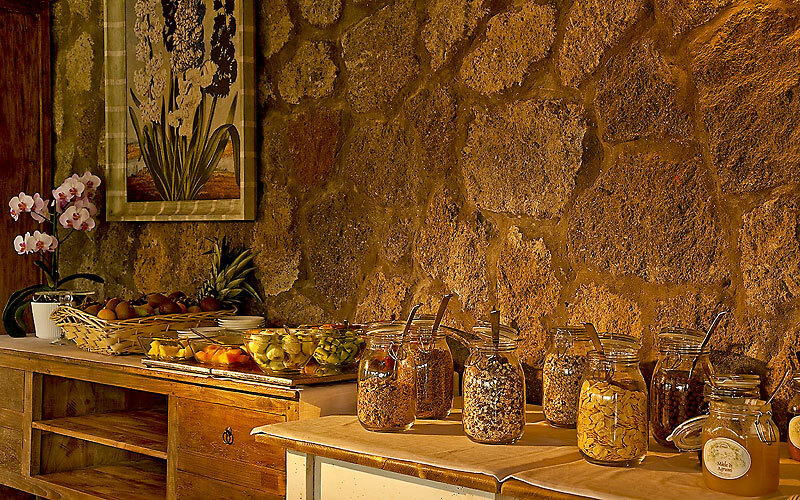 In the mornings, a generous breakfast of freshly baked bread, homemade pastries and the island's honey and jam ensures a flavor-packed start to the day. 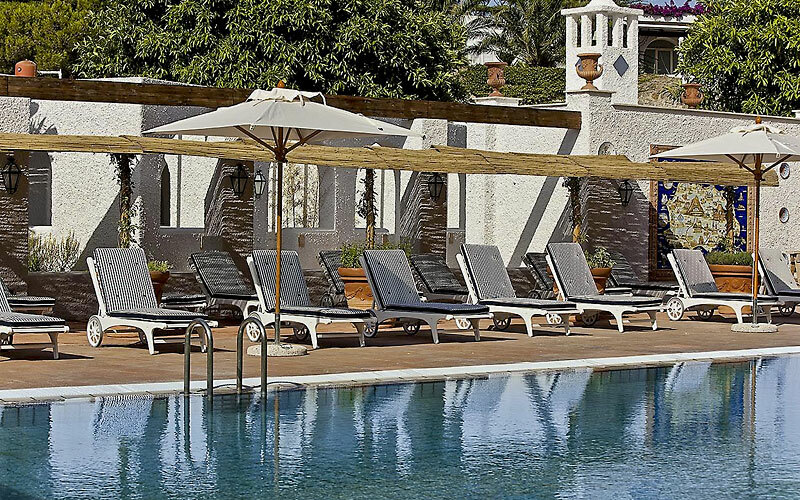 It's all too easy to feel and look fabulous when you stay at a hotel like Ischia's Garden & Villas Resort: all you need to do is pop into the wellness center, complete with indoor pool, sauna and gym and choose from the extensive menu of thermal baths, massages and skin treatments! Just a few meters lie between the hotel and the beach and thermal spa gardens Negombo, in the Bay of San Montano, making it the ideal choice for both sea and spa lovers. Holidaymakers unwilling to leave the comfort of the hotel, can always while away the hours relaxing by the resort's splendid thermal swimming pool instead. 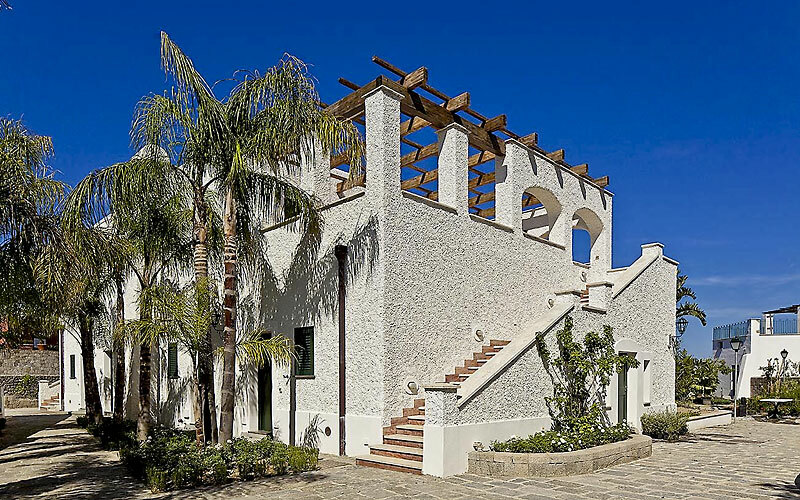 Garden & Villas Resort is located just outside the picturesque town of Lacco Ameno, on the island of Ischia. 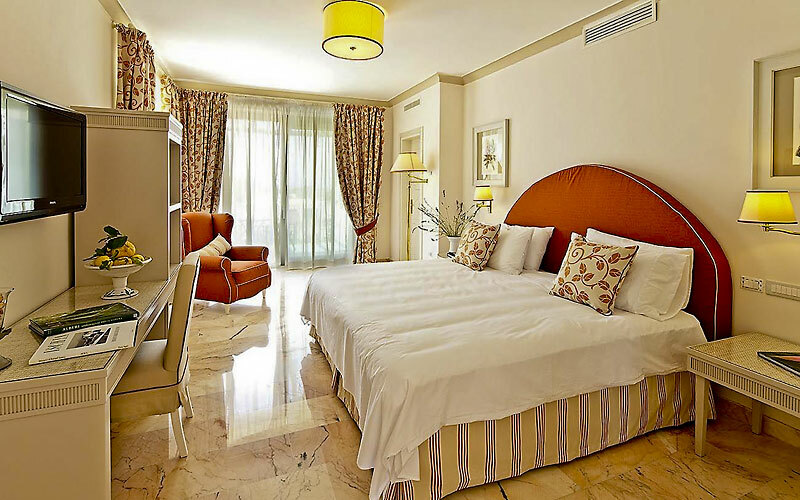 A great base from where to explore this most beautiful of Italian islands, this fantastic four star superior hotel lies within easy reach of the Bay of San Montano and the Negombo thermal spa gardens and only a few kilometers away from Forio, Ischia Porto and Ischia Ponte.